Buzinet worked on a campaign website for the Little Swimmers baby and toddler swim pants range as a sub contractor. Buzinet was reponsible for the structural layout of the website, website functionality and the supporting database required to run the website. 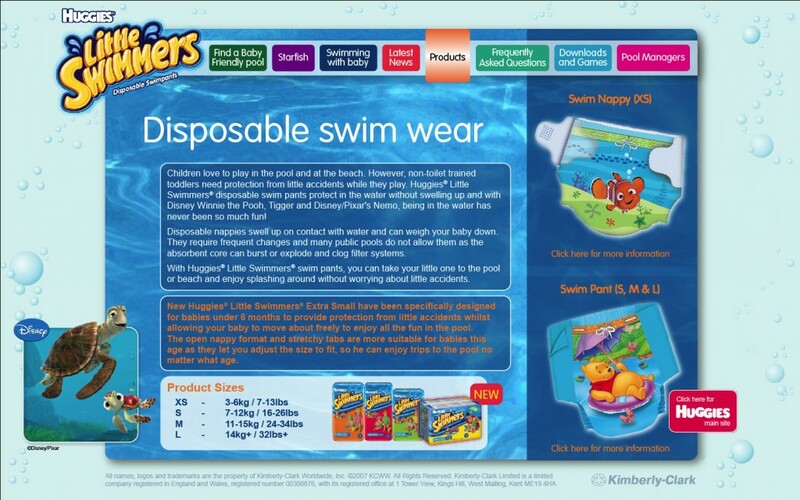 Buzinet built an animated flash website for a campaign advertising Huggies Pull Ups night time pants, as a sub contractor, which was aligned with prime time UK television advertising.